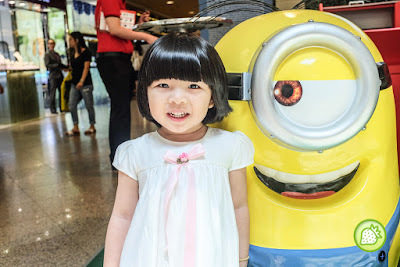 GRACE & HER MINION FRIENDS. 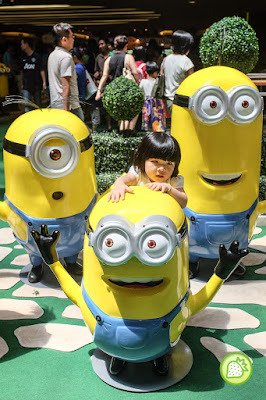 Well, my lil one bugged me on Minions; and these little yellow creatures and indeed cute and funny.After the success in their Despicable Me , Despicable Me 2 are releaseing again soon and it will be another craze among those "Bello" fans. She is so excited with the little "bello" and asking me take here and there. She loves posting with the little cutie and I am a camera man for the day indeed.